in Osgoode and Kars where God welcomes all. In Scripture readings, hymns and prayers we hear and live again, the Palm ~ Passion story. This is God’s story. This is our story. St. James, Osgoode: 9:30 a.m. Trinity, Kars: 11 a.m.
remember the last night Jesus shared with his friends before his arrest and crucifixion. St. James, Osgoode: 6:30 p.m.
God’s living words, sing, pray and walk with the cross in Kars. We begin at St. Andrew’s Presbyterian and end at Trinity United. St. Andrew’s Presbyterian, Kars: 10 a.m.
followed by light breakfast at St. James. Peace Park, Osgoode (beside the post office): 7:30 a.m. 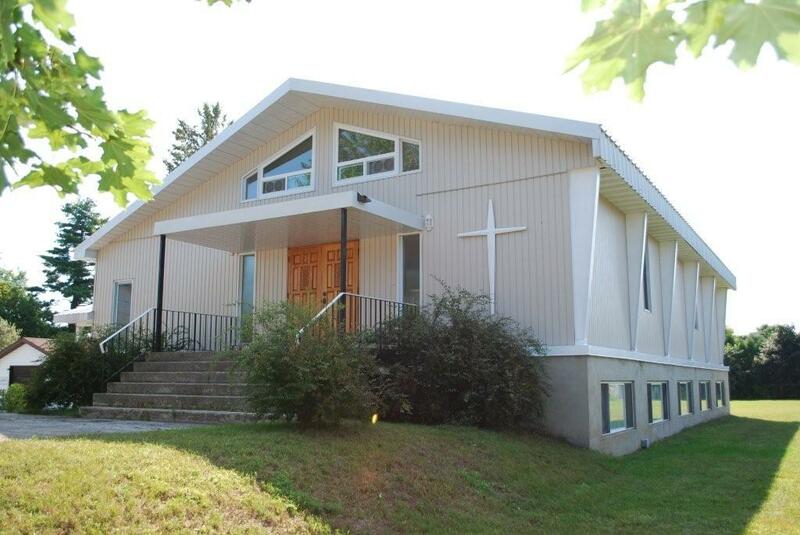 WELCOME TO ST. JAMES UNITED CHURCH IN OSGOODE! Are you looking for a vibrant, active and a friendly church where you can nurture your spirit and meet kindred souls? St. James United Church in Osgoode welcomes all who come to share in worship and fellowship with us. If you are visiting or are new to the community, please do not hesitate to come to our doors on Sunday morning or contact our church office for more information. God welcomes all. We welcome all. Come just as you are. The Epistle is the Osgoode-Kars Pastoral Charge. Please click on the Epistle logo above or link below to read the latest edition. April 18: Maundy Thursday Joint Worship, 6:30 p.m., St. James. In sacred music, Scripture readings, symbolic washing of hands and the Sacrament of Holy Communion (The Last Supper) we gather with Christians around the world to remember the last night Jesus shared with his friends before his arrest and crucifixion. April 19: Good Friday Community Worship, 10 a.m., St. Andrew’s Presbyterian, Kars. With our Presbyterian and Anglican friends, we gather to hear God’s living words, sing, pray and walk with the cross in Kars. April 21: Joint Easter Sunrise Service, Peace Park (Osgoode), 7:30 a.m. followed by light breakfast at St. James. April 21: “Alleluias in the Air: Easter Sunday Worship” with Sacrament of Holy Communion, 9:30 St. James, 11 a.m., Trinity. April 12: DIY Home Decor Workshop fundraiser at Trinity, 7 p.m. You will learn how (and create) custom wood signs and decor for your home. Pre-registration required. For more info, please speak with Darlene Mercer (613-692-5564) or by email: JLIB_HTML_CLOAKING . April 13: St. James Hearty Community Breakfast, 8 to 10 a.m. You’ll find the best food and the finest people at our breakfast. Bring your family and friends. Free will offering. April 16: Lenten Book Study – week 7, 10 a.m. at St. James. All are welcome! Please join us. As this week is Holy Week, there are several worship services planned in addition to this Sunday's worship. We have a Joint Maundy Thursday service, 6:30 p.m., April 18 at St. James. In sacred music, scripture and prayers we gather to participate in hand washing and the Sacrament of Holy Communion as we hear of Jesus' last night with his friends. On Good Friday, April 19, we join with our Presbyterian and Anglican friends as we journey with the cross in Kars beginning at St. Andrew's Presbyterian at 10 a.m., stopping along the way, ending at Trinity United. On Easter Sunday, April 21, we are invited to our Joint Easter Sunrise service in Osgoode at 7:30 a.m. (at the Peace Park by the post office) followed by a light breakfast at St. James. And, a few hours later Easter Sunday, April 21, we will have joyful, Alleluia filled Easter worship services, 9:30 a.m. at St. James and 11 a.m. at Trinity with the Sacrament of Holy Communion. Invite your family and friends to join you at any or all our Holy Week services. Everyone is welcome. Without exception. Without condition. © 2011 Church Name | Church Joomla Template by JTS. Joomla is Free Software released under the GNU/GPL License.